Hello. North Korea continues to import petroleum and export coal in defiance of U.S. and United Nations sanctions, the U.S. Treasury Department said Thursday, as nuclear negotiations between the two countries remain stalled. As part of the advisory, Treasury added two Chinese companies to its sanction list: Dalian Haibo International Freight Co. Ltd. and Liaoning Danxing International Forwarding Co. Ltd., for operating in North Korea. The Treasury Department said that North Korea last year received at least 263 tanker deliveries of refined petroleum—up to seven-and-a-half times the amount allowed under U.N. regulations—through ship-to-ship transfers that took place at sea. The Treasury said North Korea has resumed exporting coal in the Gulf of Tonkin, off the southern coast of China. Ships involved in illicit trades undertook extensive measures to conceal their actions, according to the Treasury’s advisory. The actions included disabling automatic identification systems to hide their movements at sea. Some companies also painted over identifying numbers on their ships to obscure their identities. The measures were designed to sidestep compliance systems used by the shipping industry, the Treasury said. Join The Wall Street Journal and Dow Jones Risk & Compliance in Houston on April 11 for an interview with Stratfor’s vice president of global analysis, Reva Goujon, on how world events are creating corporate risk, followed by a panel discussion on energy company compliance with Christine Stevenson, chief compliance officer for integrated supply and trading at BP Americas and Brent Benoit, chief compliance officer of National Oilwell Varco. Register here. Government concerns about cryptocurrencies have snarled a plan by Intercontinental Exchange Inc., the owner of the New York Stock Exchange, to launch the first futures contract that would pay out in bitcoin. Behind the delay is disagreement between ICE and the regulator the Commodity Futures Trading Commission over how Bakkt—ICE’s name for the project—should be regulated. The chief executive of AT&T Inc.’s WarnerMedia unit said the company is creating the new role of chief diversity and inclusion officer, according to an internal memo, amid concerns among employees about the lack of women in the entertainment giant’s upper ranks. Farmers are standing by Bayer AG’s Roundup herbicide despite rulings from two juries that the world’s most widely used weedkiller caused cancer in plaintiffs. MillerCoors LLC said it sued the Anheuser-Busch Companies LLC on Thursday, alleging that the rival brewer’s ad campaign associating Miller Lite and Coors Light with corn syrup is false and misleading. Facebook Inc. stored hundreds of millions of user passwords in a format that was accessible to its employees, in yet another privacy stumble for the social-media giant. Facebook estimated it will notify hundreds of millions of Facebook Lite users, tens of millions of other Facebook users, and tens of thousands of Instagram users, the company’s vice president of engineering, security and privacy Pedro Canahuati said in a blog post Thursday. Meanwhile, the company left a gruesome video of shootings at a New Zealand mosque up on its site for half an hour after a user brought it to the company’s attention, a previously unreported delay that highlights the social media giant’s difficulty in controlling violent content on its platform. Flag carrier Garuda Indonesia said it is seeking to cancel an order for 49 Boeing Co. 737 MAX jets, saying passengers have lost confidence in the aircraft following two deadly crashes in recent months. The move makes Garuda the first airline to publicly confirm plans to cancel a 737 MAX order. The jets were grounded by regulators this month after an Ethiopian Airlines crash that killed 157 passengers and crew. Meanwhile, a senior Boeing executive defended the company’s aircraft design and production processes following two fatal crashes of its 737 MAX airliner, and said fixes to software linked to at least one of those crashes should be ready within weeks. Boeing’s commercial plane marketing vice president, Randy Tinseth, said he had “great confidence” in the 737 MAX and the process by which Boeing devised the plane. Global audiences spent more to watch online entertainment than they did on tickets to sit in movie theaters for the first time last year, according to data released by the Motion Picture Association of America. Spending on streaming services such as Netflix Inc. and Amazon.com Inc.’s Prime Video led the way for digital media’s ascendance. Chinese tech giant Tencent Holdings Ltd. is in a recovery period after its game business was battered last year by a nine-month regulatory freeze on new game approvals in China. The company said it is looking to expand overseas as videogame woes at home contributed to a 32% drop in its fourth-quarter profit, its sharpest ever year-over-year fall. Samsung Electronics Co. audited its U.S. marketing operation to investigate whether employees violated company policies in their dealings with business partners, resulting in layoffs of a number of staffers. The layoffs and the internal probe come amid broader changes at the company, including the recent departure of top U.S. marketing executives, as well as other senior executives outside the marketing group. Liquidators from Deloitte LLP, overseeing the break up of Abraaj Group’s private-equity unit, are asking the Dubai firm’s investors for additional legal protection and more money, the latest complication in the proposed sale of Abraaj’s assets. Walmart Inc., the world’s largest retailer, is using Jetblack, a labor-intensive and money-losing personal-shopping service, to develop artificial intelligence to compete with Amazon. Comcast Corp. unveiled a $5-a-month service for its internet-only customers that will allow access to ad-supported streaming video channels like YouTube and Cheddar, an initiative that could bring in more revenue from people who aren’t subscribing to the cable giant’s pay-TV service. Payments startup Marqeta Inc. is in advanced talks with investors to raise hundreds of millions of dollars in additional funds at a valuation of roughly $2 billion. Marqeta’s technology allows tech startups like Instacart Inc. and DoorDash Inc. to issue physical and virtual credit and debit cards for employees and contractors to use to place orders at different merchants. For decades, Leslie Wexner, chief executive and chairman of L Brands Inc., has run Victoria’s Secret and his retail empire with a close-knit group of directors. But amid scrutiny, the company is preparing to bring in some fresh blood. EssilorLuxottica SA, the eyewear giant that owns Ray-Ban, LensCrafters and dozens of other brands, is in turmoil as a public fight broke out between top executives over control of the company, just six months after they created it in a merger of equals. A pair of brothers is ramping up their fight against EQT Corp., seeking control of the board at the biggest natural-gas producer in the U.S. after selling their own company to it in 2017. GameStop Corp. has named George Sherman as its next chief executive, ending a monthslong search for a candidate to lead the videogame retailer. Paulson & Co. is opposing Newmont Mining Corp.’s $10 billion merger with Goldcorp Inc. because it would transfer away significant gains from a recently announced Nevada joint venture. Freddie Mac said Donald Layton will retire as chief executive on July 1 and will be succeeded by its current president, David Brickman. Ford Motor Co. said its finance chief Bob Shanks will retire at the end of the year after more than four decades with the auto maker and will be succeeded by Amazon.com Inc. veteran Tim Stone. 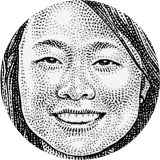 Follow us on Twitter at @WSJRisk, @kcbroughton and @_MengqiSun.